China has been hosting seminars for foreign countries and journalists on how to clamp down on online speech and writing positive news about China’s economic policies, Freedom House reported. 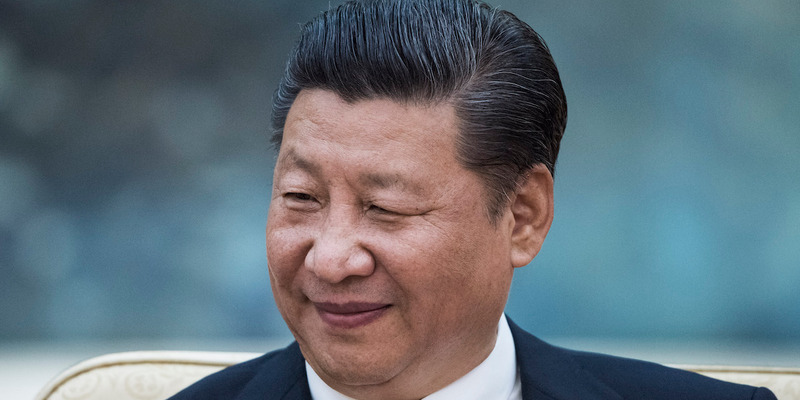 They include courses on President Xi Jinping’s views on patriotism and tours of companies that monitor negative public opinion in the country. Many of them catered to countries that are part of China’s Belt and Road Initiative, a massive infrastructure project that aims to link 70 countries around the world. Those courses appeared to work on some of the countries, who issued laws clamping down on online speech after attending the seminars. China has a long record of muzzling free speech in the country. It wields a lot of soft power over its economic allies, largely because of its financial investments around the world. China has been holding seminars for foreign countries and journalists on how to restrict online speech and write positive news about it, according to a Freedom House report published this week. The programs — which appear tailored to specific countries and regions — included courses like „socialist journalism with Chinese characteristics“ and a class on „the Chinese Dream,“ Freedom House said. Those two slogans were popularized under President Xi Jinping, and lay out his view of patriotism and innovation as long as it does not defy the Chinese Communist Party. 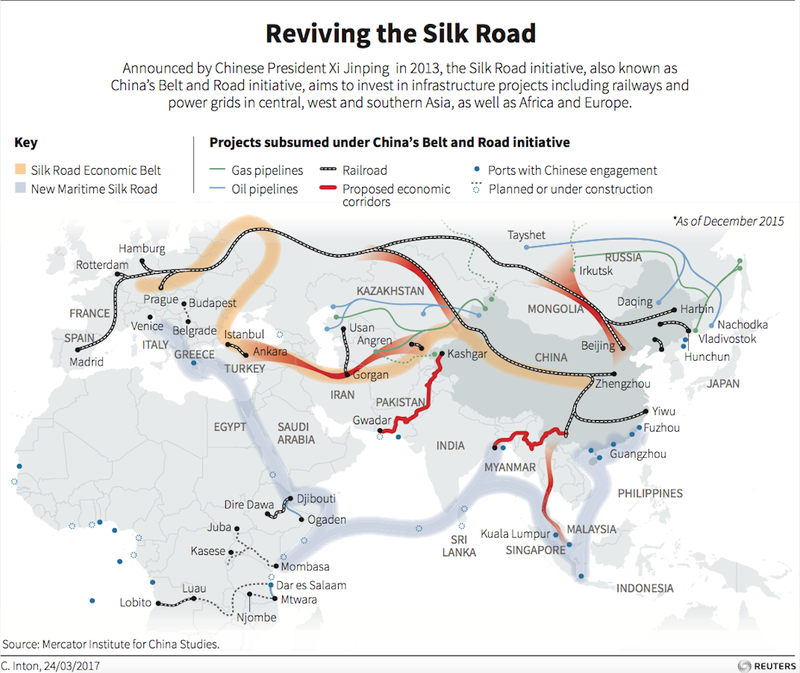 The programs appeared to be marketed to countries involved in China’s Belt and Road Initiative (BRI), a massive infrastructure project launched in 2013 that aims to link China to more than 70 countries across Asia, Europe, and Africa. It is one of President Xi Jinping’s pet projects, and Beijing has invested between $1 trillion and $8 trillion in those projects since 2013, according to the Center for Strategic and International Studies. Multiple BRI partners have racked up billions of dollars in debt because they couldn’t afford to repay China’s loans on infrastructure projects. Here are some of the seminars China hosted over the past year, according to Freedom House. May 2018: Prominent journalists and media officials from the Philippines visited China for two weeks to learn about „new media development.“ What this means exactly is not clear. A similar conference for media staff in Thailand taught attendees about the „Chinese Dream“ and how media outlets can report domestic and international affairs, including China’s economic development. The date of this conference is not clear. Representatives from Egypt, Jordan, Lebanon, Libya, Morocco, Saudi Arabia, and the United Arab Emirates also attended a three-week „Seminar for Senior Media Staff in Arab Countries“ at an unspecified date. Details about what actually happens during those seminars are scant. But pictures published by the Chinese ministry of commerce of a seminar on the „promotion of international cooperation,“ held last August for 43 officials from BRI countries, showed delegates attending a lecture by Chinese officials and receiving a „graduation certificate“ at the end. Those seminars appeared to work on the foreign countries. After Vietnamese officials attended China’s seminar on media management in April 2017, it introduced a cybersecurity law that ordered global tech companies — such as Google and Facebook — to store personal data of users in Vietnam in the country. Uganda and Tanzania also introduced similar laws clamping down on online media dissemination after their officials attended China’s seminars over the past year, Freedom House said. It echoed existing cybersecurity laws in China, which order tech companies to store personal and financial data collected in the country within its borders. Chinese authorities have previously demanded domestic tech companies to hand over user data and the contents of private conversations. Earlier this year, the Ministry of Public Security announced that law-enforcement officers could obtain and use private conversations on popular messaging app WeChat in legal proceedings. Beijing has repeatedly proven the strength of its soft power, much of which stems from its immense economic power around the world. Taiwan also claims that China uses economic partnerships to pressure countries to cut off diplomatic ties with it. Beijing insists that Taiwan is part of China, while Taipei recognizes itself as an independent nation. Australia’s former foreign minister, Julie Bishop, also revealed earlier this week that Australia did not strike a trade deal with Taiwan because her counterpart Wang Yi simply told her not to. China is Australia’s largest trading partner, top export market, and biggest import source. China also clamps down on online speech and thought within the country. Law-enforcement authorities have muzzled free speech in the past by censoring posts and forcefully disappearing people seen to speak out against the regime. It also ranks citizens‘ behavior on a social credit system, which doles out punishments and rewards depending on the individual’s score.